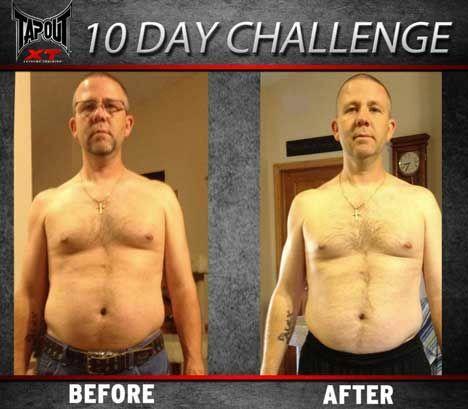 TapouT XT is a true mixed martial arts (MMA) style, extreme home fitness program. Lose weight, build lean muscle, and get ripped in 90 days! No weights, no pull-ups and no gym memberships. Pro trainer and MMA conditioning coach, Mike Karpenko, leads you through 12-sweat drenching, super-charged MMA style workouts in your own home to give you that rock hard TapouT body you want. You just need to Come And Get It!